The Aerpro CBBF1B folding bracket provides the ability to easily re-position long UHF CB or Mobile Phone antennas at varying angles. The bracket can be folded into one of four positions (0Â°, 30Â°, 60Â° & 90Â°) and is held securely with a solid spring loaded locking pin. Coupled with this is an easy to use flip latch to engage and disengage the pin. It can be mounted on a standard bull bar tab or a bull bar antenna bracket with a 16mm hole. 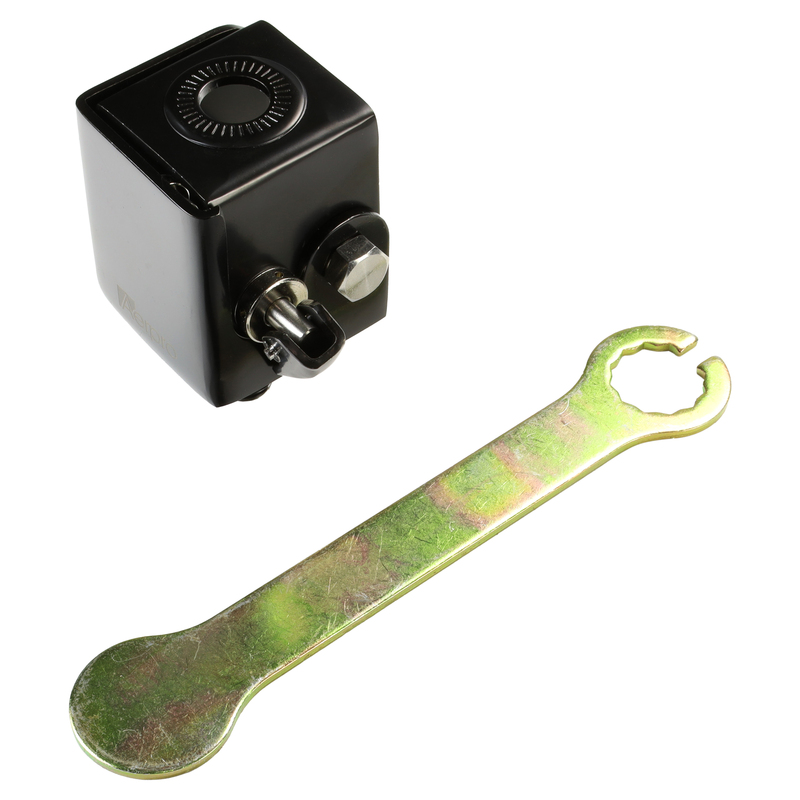 It is made from 3mm T304 Stainless steel with black electroplated finish and also includes a 22mm custom sheet metal wrench to assist with the installation.